UPDATE Sep 2016: Apparently, I should have kept my eye on this team. I’ve taken another look at the site and everything has changed. New review here. The other day, I heard about this site called 4theWords. I will not link to it. Not because I think it’s purposely dishonest, and it probably isn’t technically harmful. But it is such an impressive bit of FUBAR that I don’t want to be associated beyond this one time that I will (sort of) publicly state my opinion. It looks like such a good idea. The phrase they use is something like “a gym for writers” and it is basically 750 Words with more features. There is supposed to be a forum, like NaNoWriMo has, badges like 750 Words has (only more and possibly cooler), levels like HabitRPG, and two kinds of gamer-type currency. Like Duolingo has. So cribbing ideas from elsewhere like picking up eggs, sugar, and condensed milk and making flan. Anything related to flan must be good, right? Wrong. 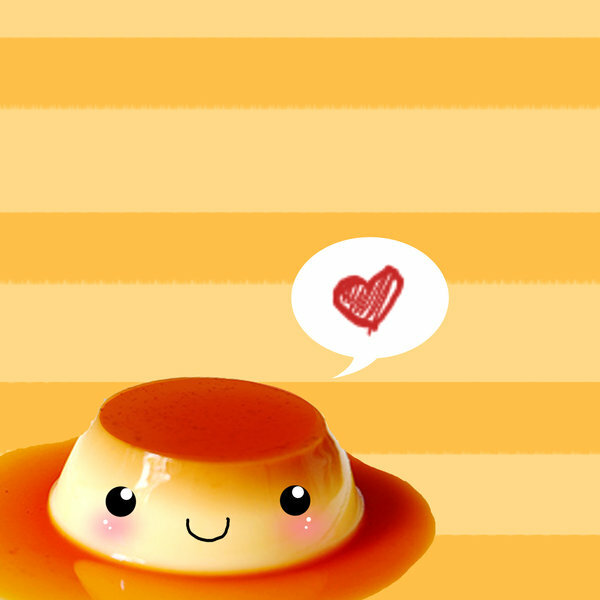 4theWords is not a delicious flan. It’s an abysmally buggy site that not only has absolutely no business even discussing money changing hands, it also has no business being listed on the NaNoWriMo web site among legitimate writing resources like Evernote and Scrivener. This is old news (like five months old) but it’s still up on NaNoWriMo’s Sponsor Offers page. My respect for NNWM tanked years ago, but it does not help when they toot a horn for stuff like Zoetic Press and this bullcrap. …an “honour” that a company can apparently buy with $6000 donated to NaNoWriMo. I think I just died a little. This makes it look even more likely that whoever is in charge doesn’t vet the sponsor offers at all. Yay bribes. Anyway. I wasn’t aware of all of this until I decided to try it out. First warning sign is that even to sign up for the 30-day free trial, you have to set up a recurring payment with Paypal. It doesn’t look illegal or anything, it’s just not always good business practise. Simply because people don’t like it, and it stops them from ever being customers. It’s even worse when you realise that this site is STILL IN OPEN BETA. Oh, and they also missed basically every deadline they ever set. Old jokes about Peter Molyneux start to come to mind. But the kicker was when I went ahead with the Paypal thing, and lo, I was kicked back to the sign-in page… and upon trying to log in, I found myself at the same page asking me to set up a recurring Paypal payment. Every Single Time that I tried logging in. I gave up. It wasn’t worth it. From what I gleaned from people who actually managed to log in (many after having the same problem I did, and all of their comments 3-5 months old), the interface is both unappealing and unusuable. The forums don’t work like forums are supposed to work. And worst of all: Core Features, the gamification stuff like fake currency and levelling, literally don’t work at all. The general attitude in the thread that announced the site’s existence to WriMos was disappointment, irritation, suspicion, and even anger. But since it is such a good idea, a lot of people were kind of cynically hopeful for the stable version. Personally? I don’t care if it does happen. I want nothing to do with any software engineer who ever thought that SHIFT-S was a good Save Shortcut Key in a WORD PROCESSOR. I feel like I have completely lost touch with NaNoWriMo over the past few years. And not just because I haven’t really done it since I got married. Even before I left, the cheery, over-pepped atmosphere gnawed on my nerves like a raccoon with an orange. Participants I knew routinely acted like NaNo doesn’t have rules (guess what, it does), and many, many others thought that it made them so special that they had full rights to hold court over their friends and acquaintances. I never liked the Young Writer’s Programme. Maybe I’m a jerk, but I remember when I first started doing NaNo officially. They collected donations to build libraries in Laos. When you compare that to encouraging a kid to do something that they’ll probably do anyway (writing tends to be hard to kill, people who are gonna write are going to effing write), it looks like a big fat waste of money. And yet. Almost every email that I get is a beg for money. I belong to a lot of mailing lists that ask for signatures on petitions, phone calls to politicians, and monetary donations. NaNoWriMo emails started to look like these. I understand about server costs. I know that they are a non-profit, and that web site goes down every single year as its users basically destroy it with their Day 1 usage. But the tone is really obnoxious. I feel like I had this casual friend with whomI used to have a lot of fun, and now he’s suddenly wearing home-made sandals and living in a pineapple field and all he’ll ever talk about is this charity that I don’t want to give any money to. He tries harder, by wearing funny hats and using as many gimmicks as he can think of, but suddenly I see all the falseness in everything he does. He tries too hard, he doesn’t know what he’s talking about, and sure, he manages to finish a novel every year, but no one wants to read any of them, including his mum. This is some of the nastiest disillusionment ever. I don’t remember my password, I don’t feel like even lurking in the forums anymore, and I feel like November just doesn’t matter anymore, beyond finals, my sister’s birthday, and Thanksgiving. Maybe it’s worth trying one more year? Soooo I was in such a rush for June to just be OVER that I didn’t realise that June finally being over not only happened, but resulted in July starting. So I lost a couple of days of Camp NaNo…ing. Which is fine. I actually thought it was really funny when I did realise it. I was in the middle of journaling on 750 Words. I had had an idea for a first line in the shower. So rather than panic and feel really, really dumb, I wrote down my first line and then continued from there. It’s not perfect, but it was a decent start. And I didn’t even have to take refuge in first person. Luckily, I never planned on the usual 50K. My goal is 30K, and I’ve gotten a little over a thousand words both yesterday and today, so I’m decently on track. I’m not using an outline, which probably saved me time, since I had this idea only a couple of days ago. I had to get my writing done as soon as I could today because we’re going to meet with family for swimming and probably some kind of food. I don’t really know what all of their plans are yet. But I can’t wait to see Owen’s face when he gets to go in the pool. It’s not completely official yet, since I forgot my password and don’t want to deal with login stuff yet, but I’m doing the July Camp NaNo. I have an idea, and I even made a mock cover. Which I usually like doing, but this time it was hard, since I need a new Wacom tablet and I have no graphics software on this computer. Maybe I’ll make those a reward if I do well. 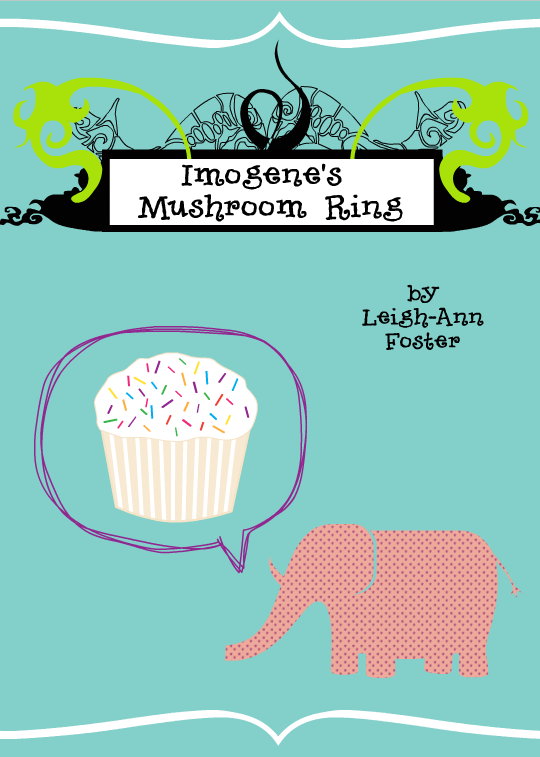 Imogene is a cute cloud cuckoo-lander who does not have a fandom following. She lives with her dad and the cat. The cat has no name, because Imogene believes that there is no point in naming a cat. Neither she nor her thoughts are terribly welcome with her peers. In fact, they get her into a fight with one of them. Imogene weighs ninety pounds soaking wet. But something comes over her, and she wins the fight with a devastating margin. A margin that makes everyone think she started the fight. Imogene isn’t from around here. And now that she’s coming into her power, she has to go back and learn how to handle them. I would have written more, but Owen woke up. It seems like every time I come forward with a project on my blog, it doesn’t happen. That strikes me as funny. Because if you don’t laugh, what else is there? Camp NaNo went fine. I reached 50K. But I do not have a finished product that I like. Luckily, that wasn’t the reason I did that this month. I just wanted to write. Every day. There were some days that I didn’t get to write, even set my daily goal at zero when I knew I wouldn’t get to write. Then when I started phasing a different project, since writing a phase outline was something else I wanted to do, I got to about chapter six or seven, right after blogging about what I was doing, and then pfffft. It was not going to work, I couldn’t continue. But I learned something from that and started again. I may change the title, because it’s one of my favourites and it doesn’t really fit anymore. But I finished the outline today. I didn’t think I would. When I first opened my word processor this morning, I cried. The story had gone onto this tangent that I had no control over. I needed an infusion of Nabokov. I wish I wrote like he did. Then I went back, and I identified where the tangent started, and what was wrong with it. I threw away several pages of outlining. Four or five chapters, spliced or removed entirely. If it had been at the prose stage and not an outline, that would have been massively, massively difficult. I have a hard time throwing stuff away when I don’t have a clear idea of what will take its place. And I finished my outline the same day it reduced me to tears. The tangent went away, I re-characterised one of the characters completely, and I ended the story where it should have ended. The outline is shorter than it was yesterday, since I was flailing with the continuing tangent. But it’s also about the length I had planned for it to be. I don’t know if I want to start writing today or tomorrow. I feel a little drained, and I kind of want to read some books. But I did it. It feels good to complete something, even if it’s only the first step. Writing this thing was like pulling teeth yesterday. None of my characters are turning out quite like they’re supposed to except for Adam. I like the new one, though. She’s perfect. I was able to get about 500-600 words using my Alphasmart while Owen played in the living room. This is nothing short of laborious. He likes to grab it and try to press keys. I don’t have a problem with the small screen (shows four lines at a time, using fixed width characters), except when two little baby hands have covered it. Luckily, I learned how to touch type in high school. I have had a roaring pressure headache for the last two days, and it doesn’t seem to be getting any better. It makes it very difficult to think. And now I have another crowded scene. Worse, a crowded fight scene. Why did I go into this with ten planned characters? Four haven’t even shown up yet (although all have been mentioned.) Probably doesn’t help that I listened to Family Force 5 before bed. Or not. I don’t know. So, I’m going to put up an excerpt from today (or a better one from another day) and then get some ibuprofen. It felt good to be running. Never mind that this direction, though better than ones which didn’t lead to an explosion, might not take them to anyone. Sydney bore down and ran faster than she should have. Her question hadn’t been important. She didn’t know what was, but she knew what she’d been thinking. “I want to fight,” she whispered. It wasn’t important, and it wasn’t a good reason. Maybe she just enjoyed shouting. Maybe it was just the euphoria of seeing Nathan again. He half-ran, half-staggered towards them, leaving behind a roaring fire that had claimed half the street. On his arm was a stout blonde woman. They were both coughing. Nathan hadn’t had the same chance as Sydney; he still wore the same clothes that had been torn and soaked. Now they were also covered in soot. Henning burst ahead to help them away from the fire. Even through her relief, fear gripped Sydney’s legs. She stared at the fire, imagining screams. Luckily for her ego, nobody appeared to notice her freeze up. Henning rushed over to take custody of the blonde woman. He turned to Nathan. His offered hand received a high-five slap. Henning shook his head, a wry smile on his thin face. She grinned and raised her hand for a high five of her own. “Thank you. It’s nice to get an unsolicited compliment from someone who doesn’t want to date me.” Not that she got many unnsolicited compliments from people who did want to date her. Happens every year. Often, since I tend to hit 11666 before the end of Week 1, I get the W2 Blues before most people. Weathering them isn’t easy, and I tend to just get worse over time, with periods of productivity. Owen had me up most of the night, too. He’s been asleep for an hour and I really do not feel like writing at all today. I only need 809 to reach the next goal marker. I could just do that and turn in. I didn’t stop anywhere particularly difficult yesterday. There isn’t really any obvious reason for my reluctance to write…other than the lack of sleep. Which is fairly normal. It’s kind of funny. Both she and Nathan got wet, Adam didn’t because of shenanigans, and she’s the only one who changes clothes. Nathan is probably going to get sick.